With no time to recover from the defeat against CSKA (76-84), the Pesic team want to achieve their sixth consecutive victory and remain unbeaten in the Palau. No sooner to assimilate the hard defeat of Friday in the Palau before the CSKA Moscow (76-84), the Barça Lassa receives today in the first match of the second round the Unicaja of Málaga in a new meeting of maximum demand for the azulgrana and that will be the 1,500 of the Barcelona team in ACB. In the first round the team of Svetislav Pesic, who remains unbeaten in the Palau in the domestic competition, only gave in the track of Fuenlabrada (79-73) and Unicaja (78- 73). In addition, the Malacitano team comes to the shock after having defeated the azulgrana in the five games they have played between last season and the current (three league Endesa and two Euroliga) . 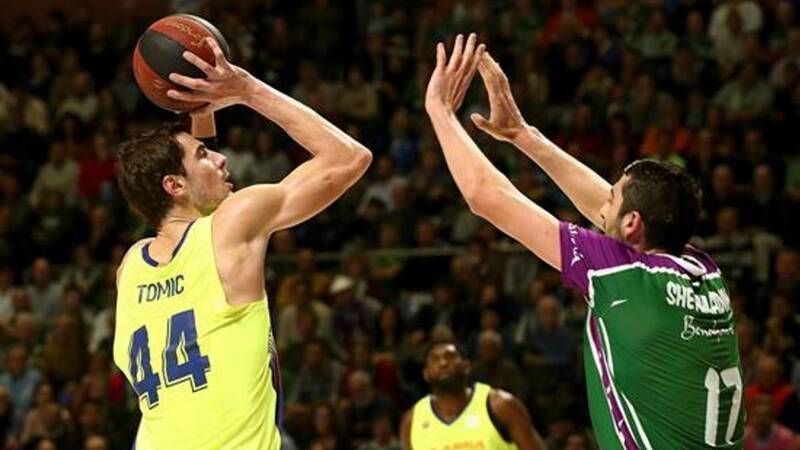 Mientras the irregularity in the Euroleague, with two consecutive defeats, in league Endesa Barca has five consecutive wins and must recover its best image to overcome a rival that comes to beat in Eurocup on the track of Limoges (77-78) . Pesic hopes that the defeat on Friday will react to his players and he reminded them that, "in basketball, you must do simple things to win games, we missed open shots four times in a row and Kurbanov hit a triple (68-73, m.37) " . "A three minutes to the end, everything is possible in basketball, but psychologically, it was very difficult for us. It is very difficult to have control until the end. "The technician has warned. Also in the inner game both the Georgian Giorgi Shermanidi, and the French Mathias Lessort will test Ante Tomic and Kevin Séraphin. Again, it is presents a c Hoque open in the Palau between two of the best attacks in the league. Barça is the second (87.7 points on average) and Unicaja the third (84.5) . In defense is where there is more difference because azulgrana are the third best (75.5 points embedded) against the malacitana, the 15th (81.3) .